An Education Ministry bureaucrat has suggested that the government might consider removing “Milky Way” phrase from textbooks in order to avoid resemblance with the names of the schools linked to the Gülen movement, which Turkey accuses of masterminding the July 15 coup attempt. 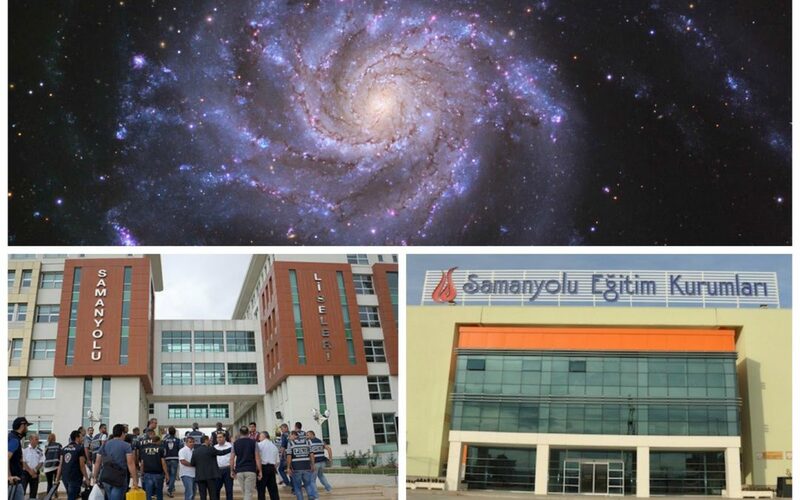 Many science-focused schools affiliated with the movement across Turkey carried the name Samanyolu, which translates into Milky Way, until they were confiscated by the government in the recent past. Government-closed Samanyolu TV channel was also affiliated with the movement. Turkey’s paranoia over the Gülen movement knows no boundaries with the government resorting in more absurd ways every passing day to avoid allegedly secret messages from the movement. According to Sözcü newspaper, a bureaucrat has suggested that textbooks may not mention “Milky Way” from now on as the phrase resembles the Gülen-linked schools, during a recent meeting at the Education Ministry. Early this week, main opposition Republican People’s Party (CHP) Deputy Chairman Osman said a textbook was banned just because it features Fethullah Gülen’s initials in a practice question that reads: ‘… from point F to point G …’ during the same meeting. Textbooks that the government has destroyed over their allegedly harmful content weigh 13,000 tons and cost TL 50 million ($16 million), Budak said. Since the Turkish government pinned the blame for a July 15 coup attempt on the movement, police have been presenting seized copies of books written by Gülen as evidence of terrorism. In September Turkey’s Education Ministry said it would republish 58 state-distributed textbooks in order to eliminate any subliminal messages from what the government calls the Fethullahist Terrorist Organization (FETÖ). Also, license plates including the letters “FG” have already been removed from vehicles belonging to the Denizli Courthouse.